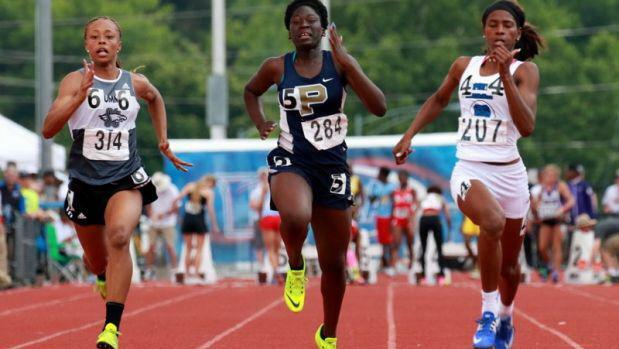 With twelve returning State Qualifiers, and seven State Medalist coming back this years Class 3 Girls 100m is shaping up to be a good one. Defending Champion Lenetta Lee of Summit Christian will come into the season as the favorite in 2019. She holds the fastest returning time in Class 3 with a 12.11, and her only loss at 100m in the regular season last year came at the Kansas Relays. She will have major competition to defend her title as last year's runner up Busiwa Asinga will be just behind her. Asinga ran a 12.13 last year at State in a photo finish to finish second and will be hungry for the victory this year. Maleah Page (12.36), Donneah Caroughters (12.56), Cecilia Verslues (12.62), Lynsie Curtis (12.68), and Izabelle Erickson (12.84) are the other returning State Medalists. Below you can find my subjective rankings and honorable mentions for the Class 3 Girls 100m dash.